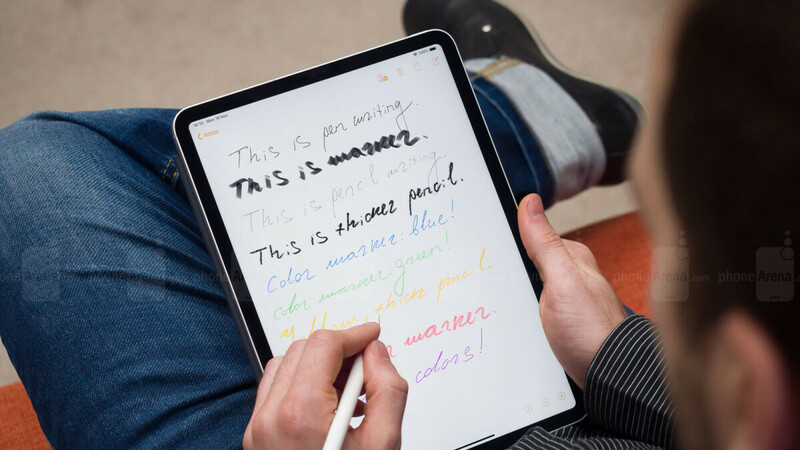 Apart from being pretty expensive, at $129, we really couldn't find anything wrong with the second-generation Apple Pencil shortly after the upgraded writing accessory was unveiled alongside a new iPad Pro duo last fall. But that's only because we didn't think to test the functionality of the Apple Pencil 2 around a car's keyless entry solution. Wait, what? We know you may have trouble believing this, but while Amazon is testing delivery by self-driving robots and Elon Musk wants to send humans to Mars, Apple seems to have recently added a note to its support webpages highlighting some decidedly weird signal interference issues between the company's newest Apple Pencil and car key fobs. Although this is a very specific problem a small number of users is likely to sporadically encounter in a particular situation, it still shouldn't happen in 2019. Basically, the wireless charging capabilities of the Apple Pencil 2 can interfere with the signal sent from a car's keyless entry device to your automobile, making it impossible to unlock your car without a key. Fortunately, there's an easy workaround you can employ whenever the aforementioned issue might crop up, as storing the Apple Pencil separately from your iPad Pro should eliminate the bizarre signal interference. You could also try to put some distance between the iPad Pro used to juice up the refreshed Apple Pencil and your key fob, although Apple's support documents do not specify how far you need to keep the two away from each other to stop this abnormal behavior from happening. On the bright side, the very root of the problem appears to be connected to the charging functionality of the Apple Pencil 2, so storing the stylus while fully charged alongside a 2018 iPad Pro should not interfere with car key fob signals in any way. Bottom line, this really doesn't sound like a big deal and something tells us Apple isn't going to bother trying to fix the glitch. But it's still a curious thing we never expected to hear about in this day and age. Polished software and top notch hardware indeed. Makes me wonder how safe is this Apple wireless charging in a first place. This feels a bit more serious than transferring my iPad Pro in a shovel with a 1.gen. Yeah, not a big deal. Heck, let’s call it a “security feature.” Who knows? It may even save lives! This is Apple's first attempt at incentivizing people into buying Apple cars. They will use this as an example that other cars have inferior security.